Hi, Everyone! Happy Friday! It’s also my birthday today! Ya know, it’s funny though, the older I get, the less I care.. and I’m not even that old. haha I opened my presents from Cody last night, I’m opening more tonight, and then tomorrow I’m having a party with my family, so what I planed on doing was just waiting until I open everything and then doing a little birthday haul post for you guys. I get a lot of makeup and clothes, so I figured that’d be fun to share! I’ll have that up by Sunday (: Anyway, today though, I have a ‘Gotta Have It or Live Without It’ review, so let’s get started! 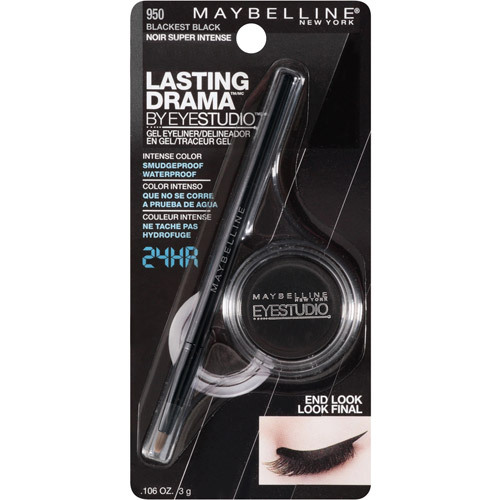 This is the Maybelline Lasting Drama gel eyeliner and I believe it comes in black, brown, and maybe a navy or dark purple. You can find it any drugstore, as well as Ulta for around $5. I have one in black, though I’ve been meaning to pick up the one in brown for a while just because sometimes I prefer a softer look. I know that gel liner can sometimes be extremely intimidating, especially to people who are new to makeup. But, even as scary as it may seem, I think gel liner is easiest, most fool-proof type of liner out there and I love this Maybelline gel liner more than any other gel I’ve tried before, high-end or not! 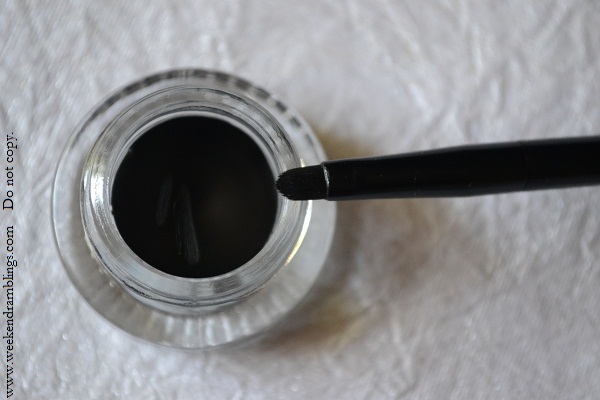 Have you tried Bobbi Brown’s Gel Eyeliner? If so, just wondering how you think they compare? Yes, I have! And I actually really enjoyed it! But Maybelline’s gel liner is just the best smudge-proof, long wear, best color intensity one I’ve ever tried. Plus, it’s only, like, 5 bucks, can’t beat that haha I have plenty gel liners, but I ALWAYS find myself going back to Maybelline. Hope this helped! Thanks! I will for sure try it! Happy Birthday! I love this post, I want to run out to the store right now to buy this. Can’t wait to try it!!! Awhh, thank you! And I’m so glad you’re gonna try this liner, you’ll love it! It’s so easy to create gorgeous looks with that actually stay all day, let me know how you like it! As you mentioned, I am VERY intimidated by gel liners! Please tell me the BEST brush to use! And Happy Birthday!